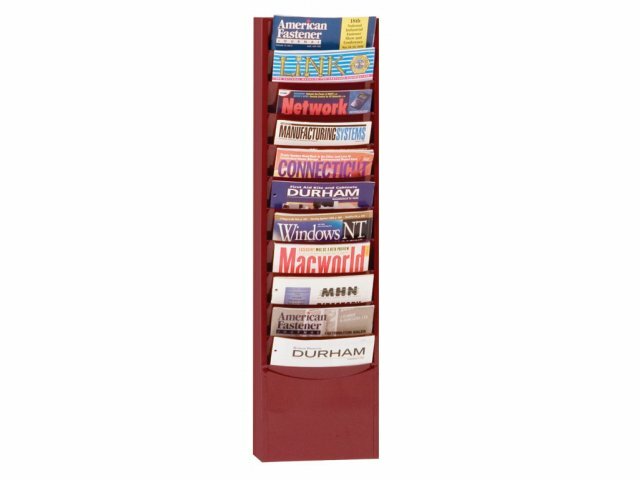 Durham Wall-Mounted Literature Racks offer the exclusive Con-Tur® design which eliminates paper curl, keeping your display material in good condition. The top two and half inches of standard size literature will be visible for easy browsing. 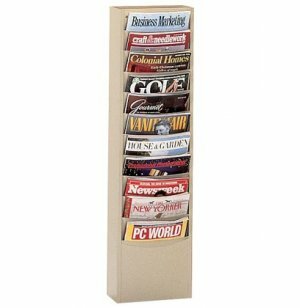 Constructed of prime steel, each pocket can hold up to 150 sheets of paper. Key hole slots make wall mounting easy and Dura-Hang® brackets make it suitable for mounting on office partitions. 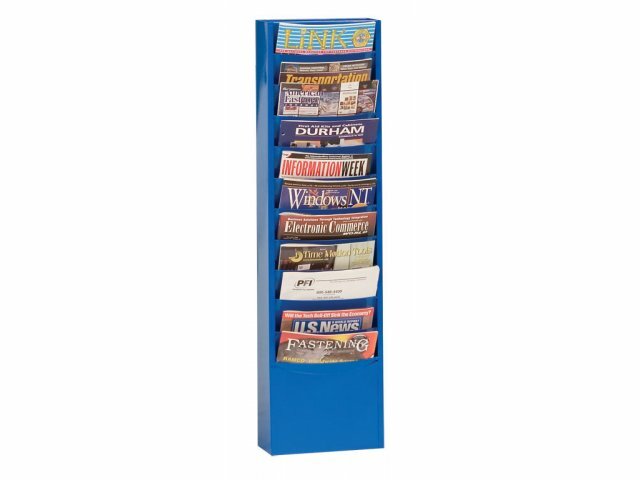 These literature displays are available in variety of colors with acid resistant powder coat finishes. Durham has been manufacturing quality steel storage products since 1922. 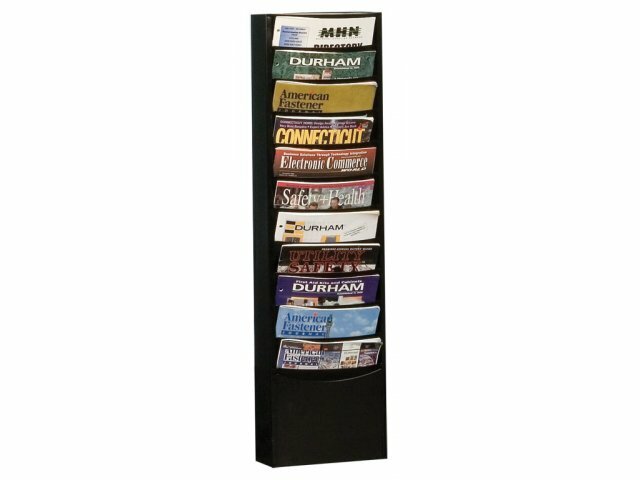 Their line of letter organizers and literature racks has made its way into company offices, libraries and businesses across the United States. Strong and Sturdy: Constructed of prime steel. Easy Fingertip Access: Keeps all stored material accessible. Exclusive Design: Totally eliminates paper curl, ensuring a pleasant reading experience. Attractive Finish: Smooth powder coat finish in a range of colors.